Friday, Dec. 11, 7- 9 p.m. 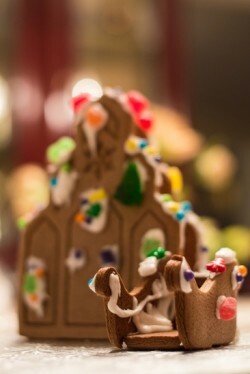 The event will feature live music and gingerbread house making. It will operate on a “pay as you wish” donation model with proceeds going to the artist and Make Room. Westerholm is a self-taught pianist and composer, who has been playing the Fargo-Moorhead area for five years. She’s opened for Rogue Valley and Caroline Smith and was the 2014 recipient for the “Celebration of Women and Their Music” award.